I am a biology professor at the University of Alberta who works on small invertebrates – mites in particular. In addition to microarthropods, my passions include natural history, photography and etymology. In this blog I will indulge all four. 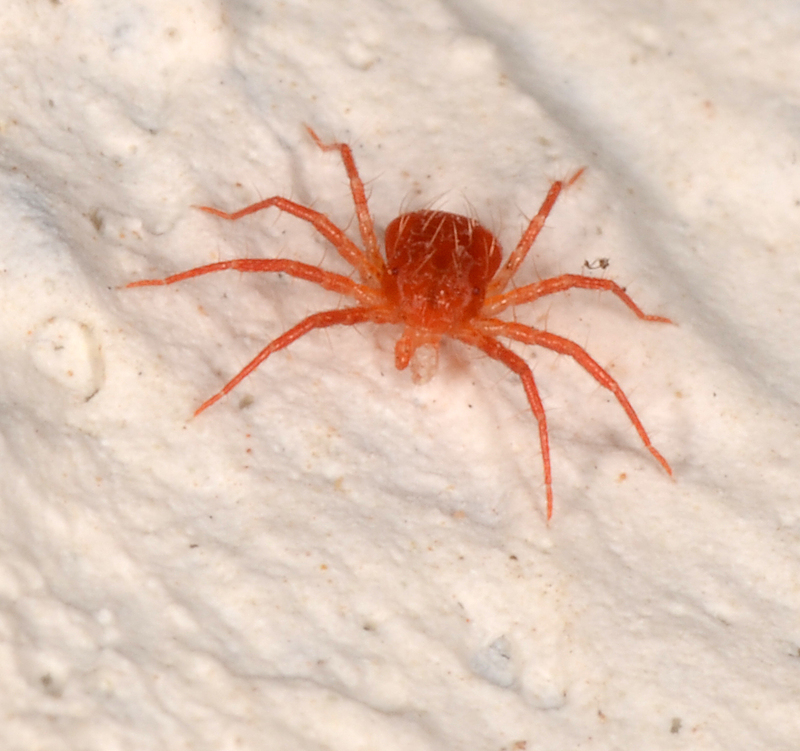 QED: here is a mite of the family Anystidae (whirligig mites). They are lively predators that run about madly on hot surfaces like rocks and picnic tables. Although there is no recorded etymology of the scientific name, Anystis was a Spartan athlete who famously ran 238 km in a single day, and was probably the inspiration to von Heydon, who named the first whirligig mite genus Anystis in 1826.